How to Remove Clop Ransomware? Clop is the name of a ransomware threat. It goes by that name, because of the extension it adds to your files. Let’s explain. The Clop ransomware invades your system via trickery. Then, once it settles, its programming kicks in. The infection uses encryption algorithms to lock your data. It encrypts every single file, you have on your computer. Archives, documents, pictures, videos, music. Nothing escapes its reach. The infection affirms its grasp with the ‘clop’ extension. It attaches it at the end of each file. Say, you have a photo called ‘today.jpg.’ After the ransomware finishes the encryption process it becomes ‘today.jpg.clop.’ After the attachment is in place, your data becomes unusable. You can no longer access any of it. Moving or renaming them, is futile. The only way to reverse the encryption, and free your files, is via compliance. Once the infection locks your files, it leaves you a ransom note. You can find it on your Desktop, under the name ClopReadMe.txt. It explains your situation. And, it gives you options. To put it simply, pay and regain control over your files, or don’t pay and lose them. But heed experts’ advice! Your options are different. Don’t pay and lose your files, or pay and still lose your files. It’s an uphill battle. You can’t win against the ransomware. The cyber extortionists, behind it, will double-cross you. So, don’t engage with them. And, above all, don’t pay them a single dime! Payment changes nothing. Clop infiltrates your PC via slyness and subtlety. It preys on your carelessness, and sneaks into your system, undetected. How? Well, through the usual antics. More often than not, it hides behind freeware. After all, users are pretty careless during freeware installs. They rush, and don’t even read terms and conditions. Instead, they say YES to everything, and hope for the best. Well, they pay for that carelessness, when Clop strikes. Infections, like it, rely on user distraction, haste, and gullibility. After all, they ease its infiltration. Why would you do that? 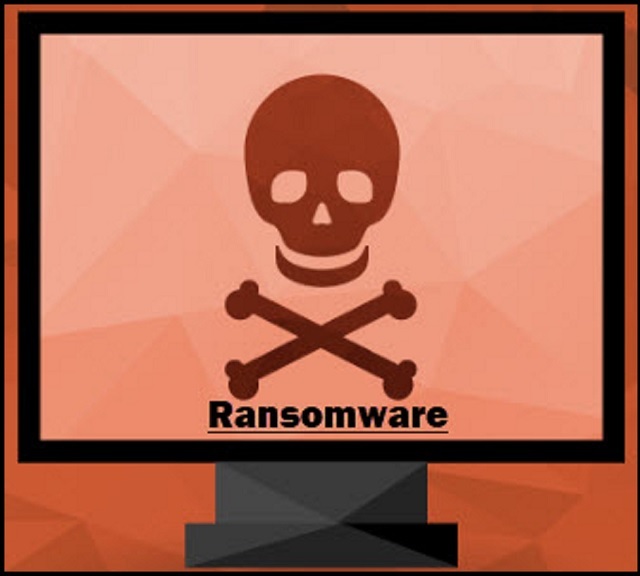 Why would you ease the ransomware’s invasion? Don’t! Don’t throw caution to the wind, but be extra careful. Attention goes a long way. Other methods, include posing as a bogus update. Hiding behind spam emails, corrupted links, o torrents. There’s an array of possible invasive means. But, remember! No matter the method, the tool needs your carelessness to sneak in, undetected. If you don’t provide it, you can catch it in the act. And, deny it entry. Always take the time to be vigilant, and do your due diligence. Know what you say YES to. That can help you avoid a ton of troubles. The note, Clop leaves you, is pretty standard. It clues you into the ransomware’s actions. And, offers you a way out. Well, a supposed way out. Here’s the thing. The infection demands payment in cryptocurrency. It can be Bitcoin, Monero, or whatever else. The exact amount isn’t included in the note. And, that’s because, “the final price depends on how fast you write to us.” The cyber extortionists request you write them via email, to receive further instructions. To further incentivize you to do so fast, they state the following. “After 2 weeks all your files and keys will be deleted.” Don’t contact these people. Even if the price is a single cent, you still shouldn’t pay. And, the ransom amount tends to vary anywhere between $500 to $1500 US Dollars. So, it’s no small sum. The note urges you to comply. It uses scare tactics to get you to comply. You must NOT comply! Don’t believe the falsehoods, it feeds you. Let’s examine your options, shall we? If you pay, there’s only a few ways, your situation can unfold. You pay, and you wait for the infection to send you the promised decryption key. But it doesn’t, and you’re left with less money. And, your data’s still locked. Or, it can send you a key, but it can be the wrong one. So, when you apply it, it does nothing. Then, you’re stuck in the same predicament. You have less money, and locked data. And, even if it all goes how the ransomware promised, don’t rejoice. If you pay, and get the right key, what then? Yes, you unlock your data, but what does that do? You get rid of a symptom, not the infection that caused it. Think about it. The ransomware encrypted your files. You may pay to remove the encryption, but that doesn’t remove the infection. It’s free to strike again. Then, you’re back to square one, with less money, and locked data. Whichever way, you look at it, compliance brings no positives. So, don’t comply. Don’t reach out to the cyber kidnappers. Don’t pay the ransom. Payment won’t get your files back, no matter the lies Clop feeds you. Locate any suspicious processes associated with Clop encryption Virus. Clop may have the ability to replicate itself, if not completely cleaned. This may require tracking down hundreds of files and registry keys. You can choose to use Spyhunter Professional Anti-Malware Program to deal with any infection that might be lurking along with Clop!